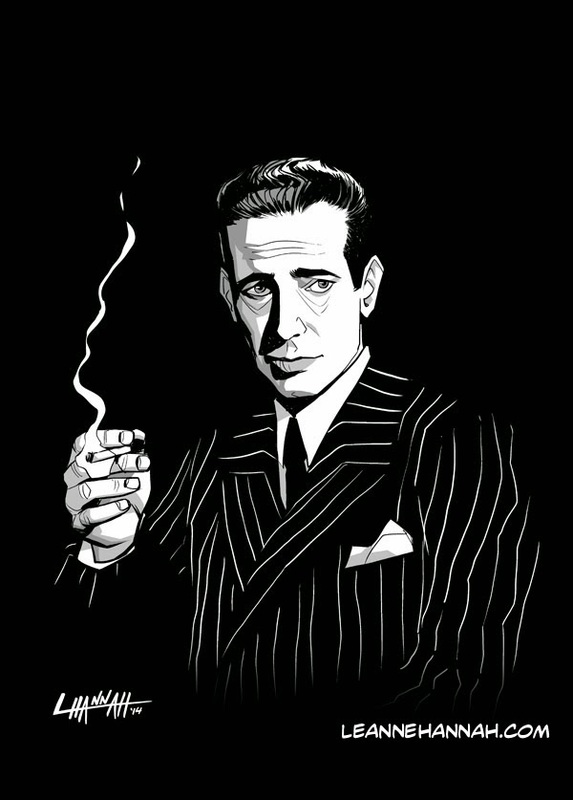 I haven't posted much here lately, so I figured I'd throw up a quick drawing I did last night of Humphrey Bogart. Rod and I have been on a Bogie kick lately so I had to get it out of my system. Here's looking at you, kid. I've been working on some projects lately, most of which I can't share, but I'm still alive and kicking. And I'll have some information about our first Hickory Hippo book soon-ish! Exciting stuff ahead!